My American Birkibeiner shirt lends itself well to the image. The "new year" is upon us. 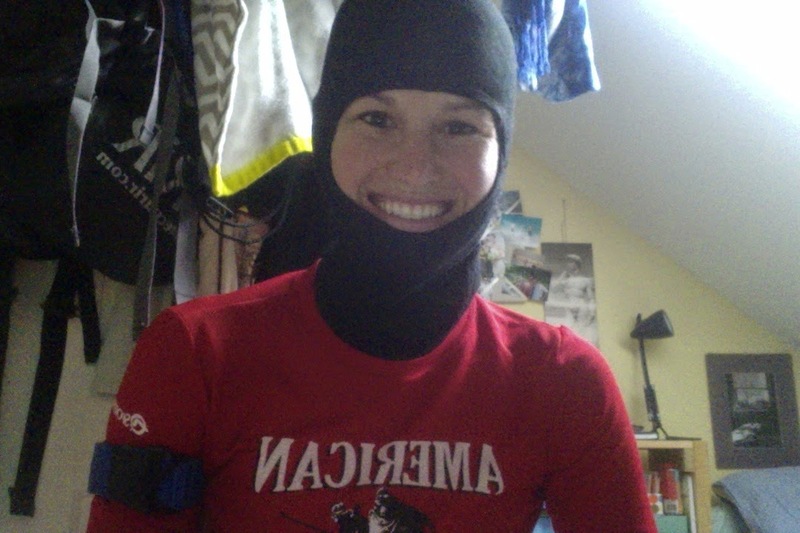 I did my first roller-ski intervals yesterday, and a running time trial today. Ah, that moment when you realize that the 2-mile loop you did at 5:45/mile pace was actually only 1.7 miles and you were running 6:45's. 'Tis the training season. There are three reasons for celebration at this time. That's saying a lot for someone who hates training season almost as much as running up mountains in the heat of July while others are barbecuing (oh, wait...). The first cause for celebration is that I replaced all of my socks. Now when I say all, I mean the 5.5 pairs of socks that have been with me every day for the last three summers of roller-skiing, running, hiking, and biking, rain or shine, blood, sweat and tears. How eleven out of twelve of my original crew sock crew-- purchased while en route to Craftsbury with the hope of making my introduction to roller-skiing less painful-- survived marathons upon marathons of physical wear and abuse is a mystery. The second cause for celebration is that I am at my first training camp with the US biathlon team. This spring I was nominated to their new "development group", which gives me the opportunity to work with the national team coaches and participate in some of the team's camps this summer. I am still based in Craftsbury and I train with the GRP as often as I can when I'm there, but my training plan is now biathlon-focussed and is written by the US biathlon team coaches. 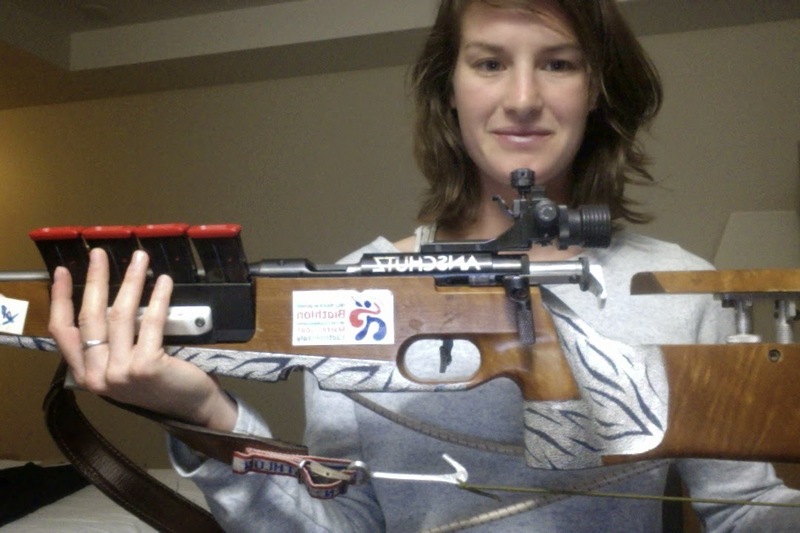 It is a very exciting development for me because it is what I need in order to become a better biathlete. I also bought a new rifle. It has tiger stripes.